It seems like we just got finished with one Apple event, and now here we are a month later, getting ready for another one. 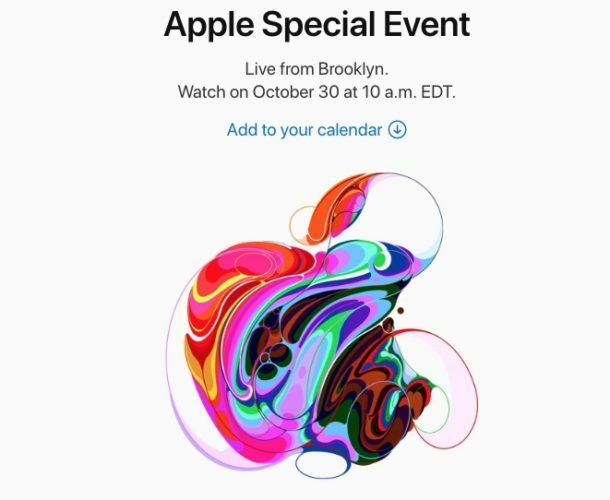 Unlike the first event, which mainly focused on the new iPhones and Apple Watch, this event is expected to revolve around Apple’s iPad Pro models, laptops, and possibly an update to the Mac mini. This time, instead of being held at Apple Park, the event will be held at the Brooklyn Academy of Music in New York City. A lot of information has been flying around, but we should expect to see a new range of iPad Pros at the event. These will most likely include Face ID and thinner bezels. Some other new functionality can probably be expected, as well. A new Mac mini though might also be in the works. The mini is basically a Mac-in-a-box and requires the user to provide their own monitor, mouse, and keyboard. The price is what makes it bearable though, with the original Mac mini going for around $500. A successor to the MacBook Air could be revealed at the event. Like most things in its recent lineup, expect less bulk and less bezel. This would also be a good time for a refresh and provide good news to students and low budget consumers who rely on the MacBook Air for its Mac OS ecosystem along with it’s un-Heavenly price point. Personally, I’d like to see a new version of the AirPods and the air power hardware that Apple has been bragging about for the past 2 years. Wow Prakash this is wonderful. Didn’t know you had a writer within you. Keep up the good work.